First, create geographic-based community sites: Put a pod of jurnos in each of the neighborhoods of Seattle that have a population of about 50,000 people, give or take a few thou. Each pod includes at least two reporters, an ad salesperson, and a community manager. Partner with strong sites that already cover neighborhoods well. 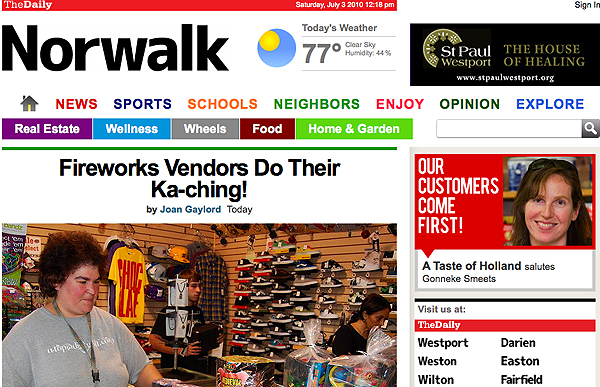 Today, I’d amend that to one jurno and one ad salesperson, and go for neighborhoods with smaller populations. The Times hasn’t done much in this arena except join J-Lab’s Networked Journalism project, in which it provides links to posts from 40 Seattle-area sites. But those links are not on the home page…you have to dip two layers down to find them. [CORRECTION: They ARE on the home page….I completely missed the five links out of the approximately 100 that are on the home page. See Kathy Best’s comment, below, that noted the error. My apologies. However, I stand by my next statement, because I believe that integration means that the content from the sites is integrated throughout the Seattle Times site, including the home page, i.e., treated as if they were part of a news organization network.] That’s not really developing an integrated network; it’s patting them on the head. Here’s a rough graphic representation of the mini-metro network. Third, I envisioned the Times still putting out a newspaper, but suggested that, eventually, it might not appear every day. Today, I say: Deconverge. Spin off print from digital. Separate management. Separate P&L. Separate buildings. Separate ad and content staff. A year ago, you never would have heard me suggest that. Clinging to a fatal optimism, I still believed that newspaper culture could grow and change. But I began heading in the deconvergence direction last year, when we began talking about developing a digital news network. The person to lead that network would need experience in digital ad networks, digital news, mobile and social media, we said. And nobody that person hired would need to come from a print background. We conceived of it as separate, because we didn’t want to “saddle” the organization with the print culture, we said. Hmmm. The word “saddle” should have been a big light in the sky. Gilbert, who has studied companies and industries in transition at Harvard Business School, pointed out this fascinating and very scary fact: of the companies comprising any industry affected by disruptive technologies, only 9 percent survive. And 100 percent of those 9 percent follow a particular pattern. A key is investing in the future. “Do you want to ride this thing down? Or do you want to invest for the future?” he asked. The cold reality is this: you can’t have these two different cultures in the same organization anymore. They set up camps. They expend energy fighting each other for the same resources instead of toward creative efforts to improve their organizations. That’s what led to the demise of TBD.com. Does this mean that news organizations could have/should have spun off digital several years ago? Maybe. But it’s likely that approach would have resulted in a rapid disappearance and even more shrinkage of print-based journalism organizations that had served their communities for more than 100 years. Traditional newspaper culture — and tv culture for that matter — still had too strong a hold for organizations to invest as they should have in digital. And, as they started the first big downhill financial slide, the traditional culture would have been likely to set digital free as an entity that did not have the history with the community or the long-held trust, and settled for riding print down. Instead, here we are in 2011 where most traditional news organizations have laid off staff to preserve profits, merged digital and print newsrooms, and many are beginning to develop digital sales staff to capture appropriate ad revenues. But now, if they don’t spin off the digital versions of themselves, invest in their future, and let print find its own level, they’ll die and take everyone in their organizations down with them. So, following Gilbert’s list, they can separate the organizations’ P&L, sales staff, tech staff, management and put them in different physical locations. But the crux of the situation is: What to do about content? The tables have turned. For digital to thrive, and print to continue to be profitable while continuing to shrink and find its place in the new news ecosystem, we now have to repurpose web content to print. Print can’t afford the same compliment of writers and photographers parallel to those in the digital organization. In the digital news organization, jurnos just focus on building and managing their communities, their web and mobile coverage. In the print organization, a distribution desk repurposes digital content for print. Maybe a couple of print-centric staff writers provide Sunday feature stories, but that depends on who the print audience is and what they want. Oh, yeah — it’s important to know who your print audience is, and who your online community is. Spend the money for good market analyses of newspaper and digital sites. Also, make print a little more digital — more graphics, more photos, don’t force narrative into coverage that doesn’t need it (city council meetings, school closings, etc.) — so that the information that jurnos provide in their digital posts can appear the same in print. btw, the opposite of converge is diverge. But I didn’t think that “diverge” encompasses the flavor of the situation traditional organizations find themselves in. Hence, deconvergence. Of course, unconvergence would work. Disconvergence could be a word that describes the current dissonant nature of convergence. Any other suggestions? Five telling developm ents probably contributed to the end of TBD.com as we knew it. Some folks are saying TBD’s demise is because hyperlocal sites don’t work. TBD.com’s cutbacks and reorganization have less to do with whether a “hyperlocal” approach is doable and more to do with the necessary elements required of an organization to achieve something like this. On to the five reasons…. 1. The abrupt departure of editor Jim Brady three months after TBD.com launched. When the top guy leaves, it’s likely there’s been a critical change in commitment or approach at the top. In this case, at least one obvious change was the commitment to three-to-five years of growth and development that Robert Allbritton, chief executive of Allbritton Communications, which owns TBD.com, had pledged, and is definitely required when growing a digital news organization. 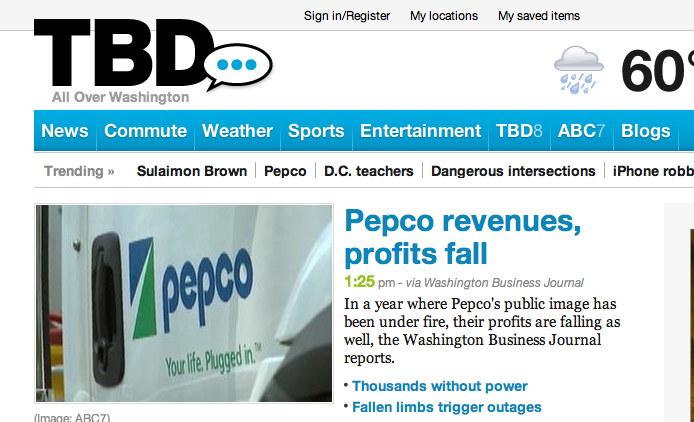 According to Paul Farhi, who wrote the Washington Post article on TBD.com’s demise, it had great traffic for a startup. In January, just five months after its debut, it attracted 1.5 million unique visitors, nearly double its December total of 838,000 and far surpassing November’s total, 715,000, the internal figures show. 2. Ad sales done by WJLA staff. If you’re making an investment in a digital operation, it has to be a complete investment, i.e., there has to be a robust digital sales staff, too. Clark Gilbert, president and CEO of the Deseret News Publishing Company and Deseret Digital Media, will tell you that you have to separate digital from traditional, otherwise traditional will drag digital down culturally and operationally. If both groups fight for the same resources, it’s likely that the traditional group has more political clout and will win, which means both lose. 4. Not niche enough. The organization was still too mass-media oriented, and, thus, staff-heavy. Sports coverage? Existing local news organizations plus CBS, ESPN, and SBNation provide blanket coverage now. Should that have been in the mix? I don’t know how the traffic to the topics played out, but an assessment of what wasn’t being covered well, identifying where the opportunities are, and building communities around those topics probably would have helped. 5. Abandoning commitment to community engagement. The new TBD.com has pulled the plug on their terrific efforts to build a community of bloggers, also showing that the cultural and organizational weight still resides in the traditional we-talk-you-listen TV news. Oh, my. That’s so 1999. 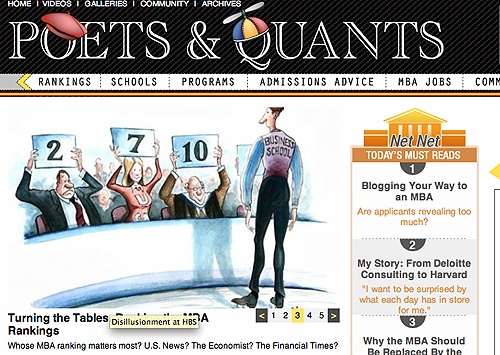 Former BusinessWeek and Fast Company editor John Byrne launched Poets & Quants, the first of about a dozen sites. The company calls it “the go-to place for serious applicants to the best MBA programs in the world.” Here’s an article about it in Webnewser, itself part of the WebMediaBrands network, which publishes mediabistro.com. Talk about a niche! According to the article, the next site C-Change plans to launch is “Slingshots for David”, which the company says will “provide the tools, advice and inspiration to help entrepreneurs develop disruptive business models to slay the Goliaths in business.” C-Change Media‘s site is John Byrne’s blog. Interesting side-note: if you Google PoetsandQuants, everything BUT the site comes up. First on the list is its Facebook site. Byrne vociferously complained about that last week. WellCommons was honored Monday as a “notable entry” in the annual Knight-Batten Awards competition. Though WellCommons wasn’t among the top seven entrants, the site was among 30 others that were singled out for praise by the panel of judges. Taking top honors was an effort by the Sunlight Foundation to add data and context to the coverage of a government event — coverage of the health reform summit — to make it more consumable for the audience. ProPublica, 48HR Magazine, The Obameter from the St. Petersburg Times, Ushahidi Haiti, Publish2 News Exchange and The Takeaway took the next level of awards. The Knight-Batten Awards reward news and information efforts that create opportunities to involve citizens in public issues and supply opportunities for participation. I just added WarehamVillageSoup.com to the growing list of niche news sites and networks on Jurnos Wiki. After six months, they’re “flirting” with a financial break-even point. The list of web-only news sites is huge, and I’m sure not all are on the list. If you include all the sites that are part of the networks, which are at the bottom of the list, we’re approaching 5,000 sites. Most cover business, tech, sports and entertainment, but a significant growing number are health, environment, state government and politics, and geographic-based community sites. ………with great ambition is growing in the counties north of New York City. As of today, 7/3/10, MainStreetConnect has 10 sites: TheDailyNorwalk.com, TheDailyWestport.com, TheDailyWilton.com, TheDailyWeston.com, TheDailyNewCanaan.com, TheDailyGreenwich.com, TheDailyDarien.com, TheDailyFairfield.com, TheDailyStamford.com, TheDailyEaston.com. Tucker describes a staff of more than 40 staff members — mostly ex-newspaper people — and there’s some posting across the sites — e.g., the opinion section of each is nearly the same. 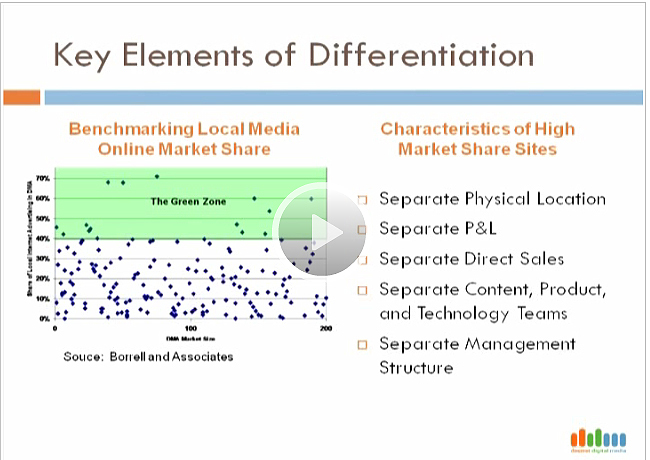 Main Street Connect provides local partners all the tools, working capital, and guidance they require to build profitable high-quality community news sites. Main Street Connect Partners have the opportunity to strengthen their communities while earning a good living and building value. Please submit the NDA below to learn more about joining the MSC Network or click here to contact us with questions. We want to hear from you.